… not just components, but seamless integration into a reliable and durable system that achieves up to 98% NOx reduction. Achieve Tier 4 Final Today! AeriNOx provides a range of products to reduce regulated pollutant emissions. 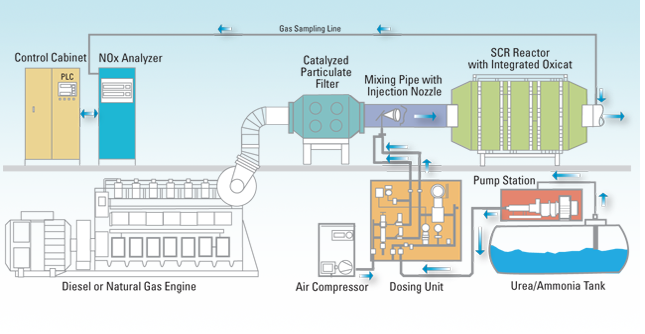 Starting with our SCR System to reduce NOx, we add an oxidation catalyst to decrease CO and HC, or a catalyzed particulate filter to limit CO, HC and particulates. This enables you to achieve Tier 4 Final emission levels even with today's engines.